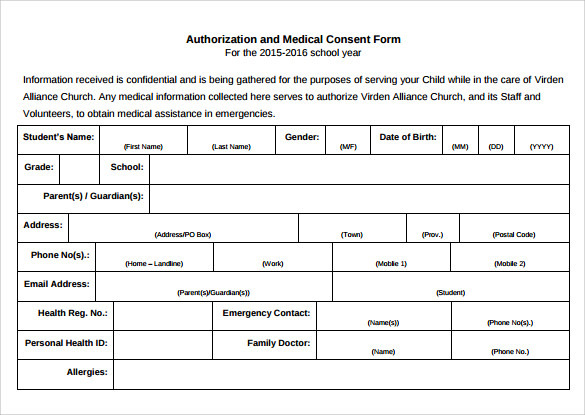 A medical consent form is just similar to a medical authorization form. 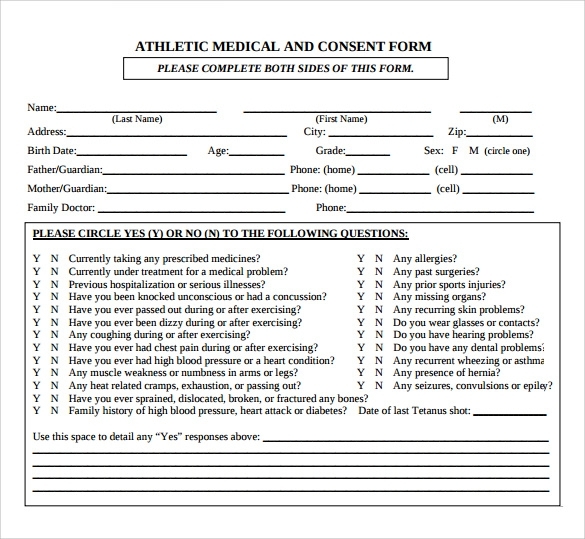 In here, the patient is well instructed of the procedure and health service Medical Waiver Form that he or she needs during his or her confinement or even as outpatient who will undergone a diagnostic examination. 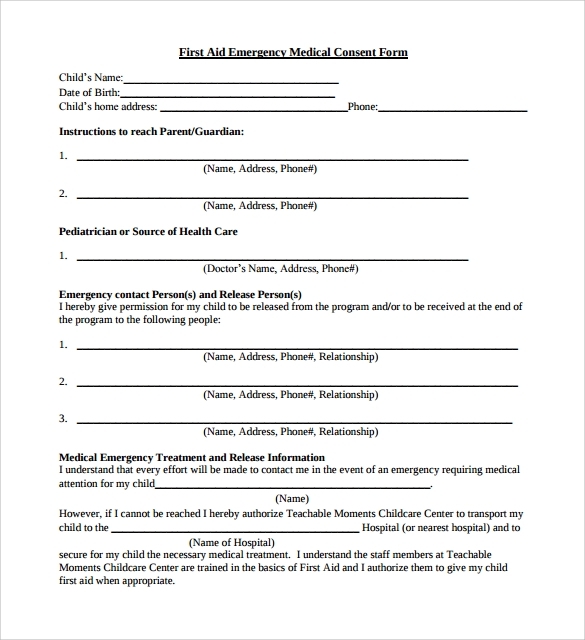 This is being provided in order for the patient to affix his or her signature thereby allowing the health institution to render the specific care. 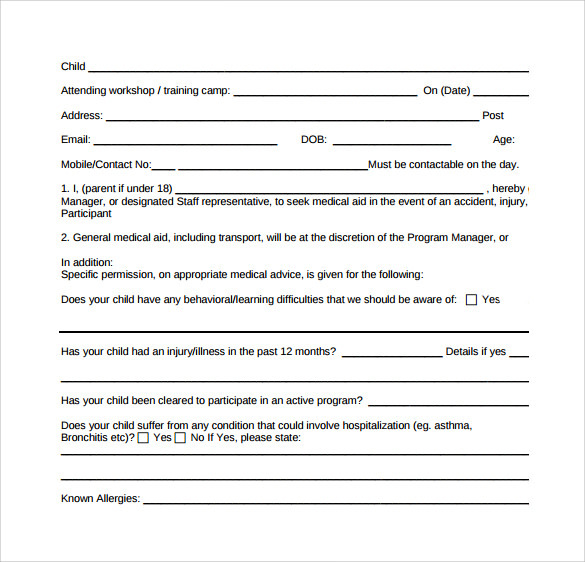 There are samples in the website template ready to be downloaded and print. 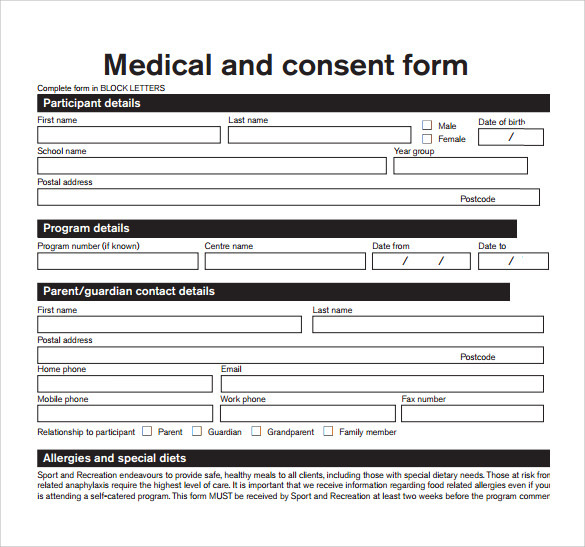 These samples of medical consent are free, standard and in general statement applicable to the rules and policies of every hospital. 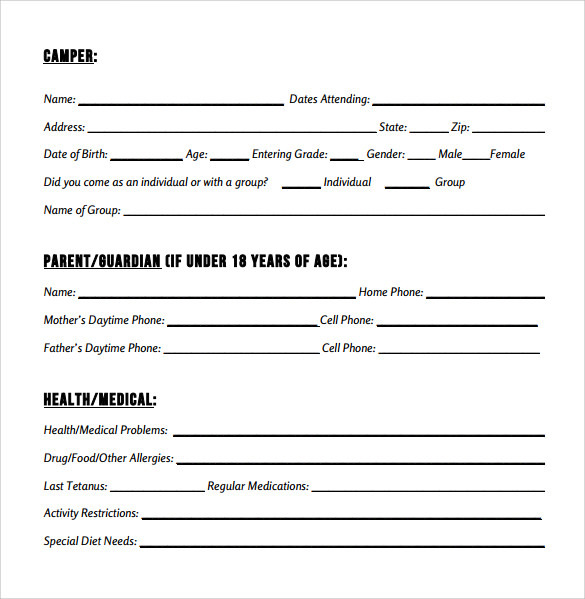 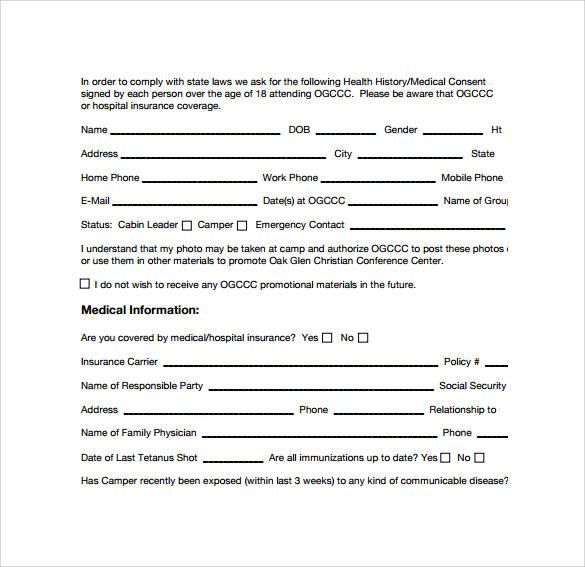 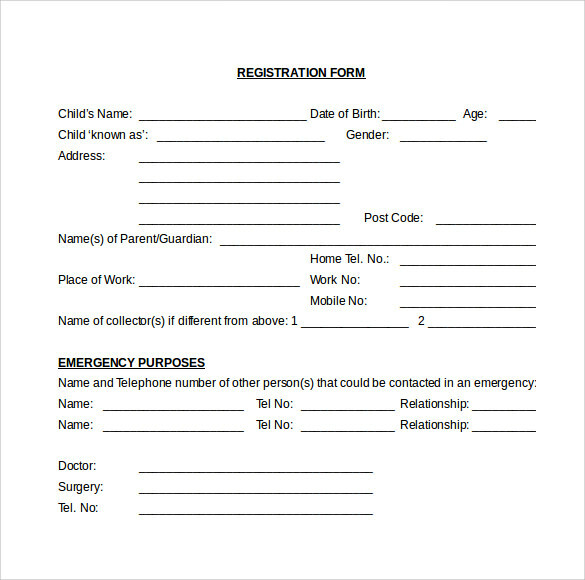 The medical consent form template is allowed to be customized for the uniqueness of the form that will be used by the specific hospital and this is easy using the Word or PDF format. 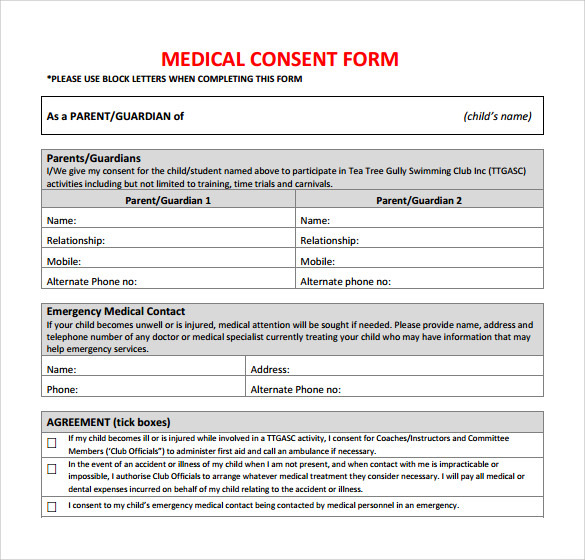 The Child Medical Consent Form is an authorization tool which is necessary in handling patient and as part of patient’s data record that can be a reference point in future needs.